Former Portland City Manager John Menario, who was known as an advocate of urban renewal in the 1960s and 1970s, died Thursday. He was 83. The city announced the news in a statement Friday night. No cause of death was given. Menario worked for the city for 14 years, including as city manager from 1967 to 1976. 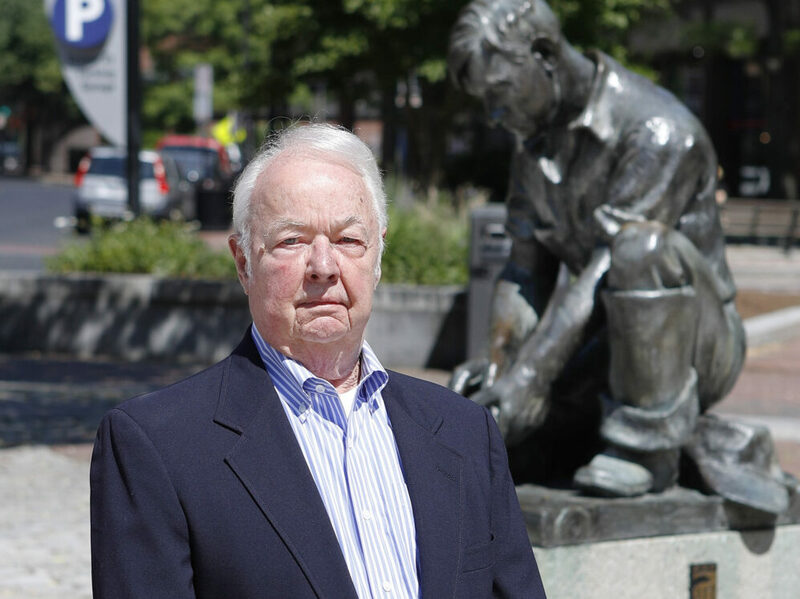 The city described him as a “dedicated public servant” who oversaw the growth of downtown business. “Every day when I come into the office I always look at John Menario’s portrait in City Hall,” City Manager Jon Jennings said in the statement. “John was a great friend to generations of City Council members and I am especially proud of the friendship I had with him. Menario was born on Sept. 18, 1935, according to an oral history interview for Bates College in Lewiston. He served in the military during the Korean War and then studied public management at the University of Maine in Orono. He earned a master’s degree from the Fels Institute of Government of the Wharton School at the University of Pennsylvania. He soon came to work for the city of Portland. An editorial in the Evening Express in November 1975 described Menario’s sway over the elected council. “Almost without exception, the Portland City Council has been a mirror of his philosophy, his views and his beliefs,” it said. David Brenerman, a former city councilor and state legislator, interned for Menario while he was in graduate school. The former city manager became his mentor and friend. He said Menario taught him that getting a job done well was more important than getting credit for it. “He made things happen,” he added. Menario was known for his embrace of urban renewal, a planning philosophy that is now criticized because it was heavily automobile-centric and lacked regard for historic buildings. One such project during Menario’s tenure was the widening of Spring and Franklin streets, as well as the demolition of more than 100 homes deemed to be urban blight in the 1960s, including a section of the city known as “Little Italy.” The city built public parking garages, including the one on Temple Street. City-owned land along Spring and Center streets was sold, which eventually allowed for the construction of what is now the Cross Insurance Arena. But the city has since reversed course on some of the policies that marked Menario’s time in office. In particular, the Portland City Council has voted in support of redesigning and narrowing the Franklin Street Arterial. In 2015, Menario defended the design in an article in Portland Monthly. “If I owned the City of Portland, I wouldn’t let anyone touch the Franklin Street Arterial – not because of its past contributions but because of its capacity to support new economic development that could match or exceed the positive developments that occurred over the last many years,” he wrote in the magazine. Longtime City Councilor Nicholas Mavodones said Menario would occasionally weigh in on economic development issues after he left city government. He acknowledged that Menario worked on projects that are now controversial, but said the former city manager cared deeply for Portland. “I think what they did at the time was probably what was going on in many cities, and I think much of the work they did around trying to make those improvements in the city helped set the stage for what Portland has become,” Mavodones said. The Portland City Council honored Menario in 2016 by renaming the plaza next to the Temple Street Parking Garage as John Menario Plaza. Menario reflected on his connection to Portland and his service as city manager at that time. After leaving City Hall, Menario worked for the Greater Portland Chamber of Commerce, before running his own consulting firm. He ran unsuccessfully for governor in 1986 as an independent candidate. From 1988 to 2003, he worked as a banking executive.